In a world of countless successful brands, does your idea truly stand a chance? Perhaps it will be the next best thing since the invention of the butter knife, and perhaps it won’t make it past the third year. It will all depend on your ability to transform your passion into a profitable business, and a recognizable brand that will successfully rival other established businesses in the competitive arena. On the other hand, perhaps your long-term success lies in becoming an owner of a franchise, an entrepreneur who built their success under the financial and organizational support of an established brand. Here to help you make the best cost-effective decision, a decision you can be proud of, are the five ways to determine whether a franchise or a startup is right for you. Brand creation and positioning is one of the most important elements of a successful business in the 21st century. Without a strong brand identity and presence in the online and offline world, your company is just another faceless entity in the competitive market that will never reach its true potential. After all, why should anyone give you as much as passing glance if there is nothing to look at? You need a strong visual identity and a compelling brand personality to stand a chance. This is where a franchise is different than a startup – one already has a personality and a following, and the other is yet to prove itself. On one hand, a franchise brand will help you mitigate risk and avoid the costs of branding, and the other gives you the freedom to build a completely new identity. The fate of your business will rest on the experience and competence of your workforce. Your employees are the driving force behind brand recognition, customer satisfaction, marketing, product innovation, and every other crucial process, so hiring the right people should be on of your top priorities. Needless to say, this is not an easy task, especially for a startup. Your startup is yet to define its culture, and discover the type of employee that best suits your vision, mission, and long-term goals. The people you hire will either help you thrive, or cost you valuable resources you can’t afford to lose. When it comes to franchises, on the other hand, you work in an established corporate structure that knows exactly what type of employees make the best fit. There’s little room for mistake here, although not even a franchise handbook will guarantee that a rotten apple won’t find its way into the batch. Without a doubt, the financial side of opening and running a business is the most important consideration for the aspiring entrepreneur. 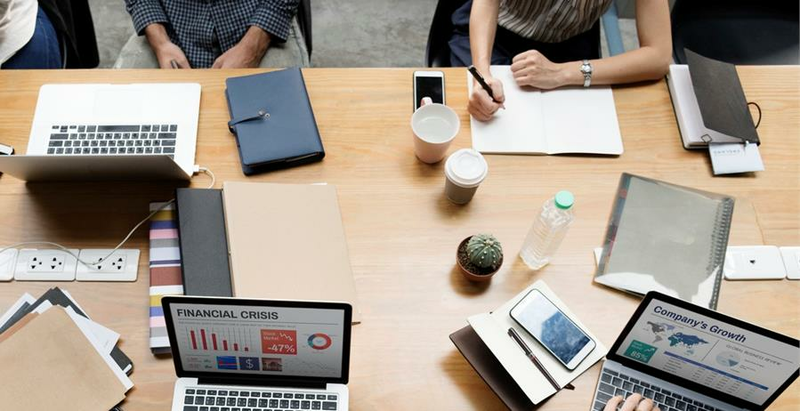 From obtaining the investment capital, to securing operating costs and growing your revenue streams, there is a lot of financial stress on your shoulders. While the costs associated with opening your own company are high as it is, the added costs of running it on a daily basis can quickly put you out of business. That said, buying a franchise also requires an initial investment, but the financial and organizational support you gain might be worth it in the long run. For example, if you lack the resources or experience to open your own auto-repair shop, then buying a mechanic business for sale might prove to be a sound business move. The financial support is one of the main reasons why people opt to buy a franchise, so whatever your business dreams might be, a franchise can help you mitigate risk and avoid building financial security from the ground up. Marketing is the driving force behind long-term success in the business world. Without it, there is no way to put your brand in front of your demographic, or inspire people to become your loyal customers. Building and launching a comprehensive marketing strategy is also one of the most expensive challenges for an entrepreneur, so you need to allocate your resources wisely. There are advantages and disadvantages associated with startup and franchise marketing. On one hand, a startup gives you the freedom to create a marketing plan in any way you please, but you need to finance it yourself. On the other hand, a franchise will give you all of the marketing materials you need, plus the financial support, but you have to do everything under the strict guidance of the parent brand in order to ensure brand consistency across the board. In the end it all boils down to your ability to put a business on its feet financially, and make it all the way to solvency on your own. By far, the biggest benefits of owning a franchise are risk mitigation through financial support, improved chances of success because you’re working with an established brand, and the fact that you always have a strong corporate structure to guide you on the road to success. That said, launching your own company gives you the freedom to tackle the market any way you please, and build a brand identity based on your vision and long-term goals. The modern business world is rich with lucrative opportunities, and the first step to achieving affluence and success begins with choosing the right business structure for you. Take these insights into consideration in order to make the best cost-effective decision for the future.